Both Vanilla Icing and Vanilla Frosting are perfect for, well, EVERYTHING. They’re sweet, they’re simple, and they’re delicious, but they’re also filled with a ton of refined white sugar, butter or hydrogenated shortening (aka dangerous trans fats), and artificial flavorings. So I made them healthy! These Healthy Vanilla Protein Icing and Healthy Vanilla Protein Frosting recipes are just as sweet and just as delicious as the original, but way better for you. One spoonful and you’ll have a hard time believing they’re sugar free, low carb, low fat, high protein, and gluten free! This is heaven on earth. I literally spent 20 minutes standing in my kitchen scraping every last bit of it out of the blender. I’m normal, I swear. When Vanilla Icing is that good, you’ll do it too. This icing is sweet and addicting, but without the refined white sugar and artificial flavorings. In fact, it’s sugar free, low carb, low fat, high protein and gluten free. It’s buttery rich, thick and creamy, but without the butter, margarine, shortening, oil or trans fats. It’s all-natural and made with wholesome ingredients that you can feel good about eating. 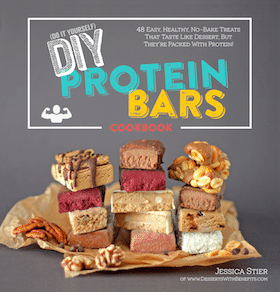 I was originally planning on making whey protein bars (a big reader request from people who have my DIY Protein Bars Cookbook) but totally failed. It was like a sticky good, so on a whim I mixed in a few more ingredients and BAM! This delicious Vanilla Protein Icing was born! You can feel the coconut flour in this icing, but it’s not overwhelming or all too gritty. I like using coconut flour because it’s low glycemic, low carb (safe for diabetics), high fiber, and gluten free. I’ve been using it a ton in my recipes lately. Use this Healthy Vanilla Protein Frosting to top off cake or cupcakes, even pancakes and waffles! I feel like a dessert fairy swept in and snuck magical dust into this frosting because DAMN Y’ALL… I could eat this stuff for every meal of the day — breakfast, 2nd breakfast, lunch, 2nd lunch, snack, dinner, dessert, nighttime snack. OHMIGERD it’s so dang good. 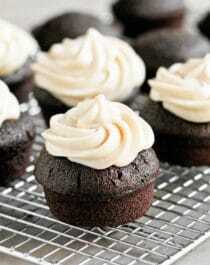 This Healthy Vanilla Protein Frosting is already a staple food for me. When the stresses of work and daily life bog me down, I just get up from my desk, stretch, walk over to my fridge, and spoon some of this foodgasm-worthy deliciousness into my face. Stress? What stress? It’s totally gone! Guilt? What guilt? 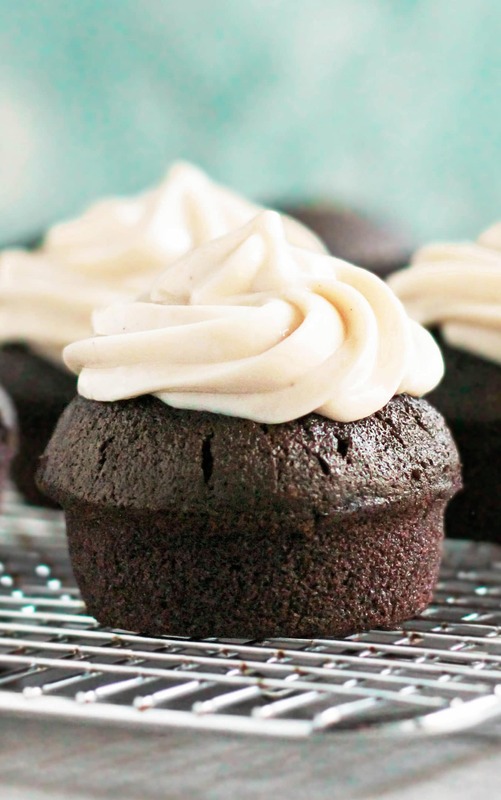 This frosting is totally guilt-free! These Healthy Vanilla Protein Icing and Healthy Vanilla Protein Frosting recipes are just as sweet and just as delicious as the original, but way better for you. One spoonful and you'll have a hard time believing they're sugar free, low carb, low fat, high protein, and gluten free! In a high-speed blender (I used my Vitamix), add the yogurt, nut butter, vanilla extract, and vanilla paste. Blend on low speed until completely smooth. 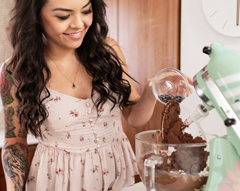 While blending, add in the protein powder, powdered erythritol, and coconut flour. The mixture will thicken. Give it a taste and add a pinch of salt, more erythritol, or more vanilla to taste. You can use this immediately or store in a tightly sealed container in the fridge. In a stand mixer bowl fitted with a whisk attachment, add the yogurt, cream cheese, vanilla paste, and stevia extract. Mix on medium-low speed until completely smooth. Scrape down the sides of the bowl and mix again. Add in the protein powder and powdered erythritol, then return mixer to medium-low speed. Once completely smooth, scrape down the sides of the bowl and mix again. Increase mixer speed to high and mix until fluffy and even. Cover the bowl and refrigerate for 3+ hours to firm up before frosting. Store in a tightly sealed container in the fridge. Feel free to add ¼ tsp of Almond Extract for a bakery-like flavor! The icing or frosting will keep for as long as your yogurt keeps, so check the expiration date on that. Jessica, what can we sub whey powder with? We are dairy free/casein free? This looks absolutely delicious! I have been following your blog for quite some time now, and love your healthy and delicious recipes from both here and your cookbook. Thank you for making such delectable creations and I am excited to see what your future holds 🙂 Wishing you the best! Would peanut butter work for ththe cashew butter? I’m thinking about Connecticut because it’s a short train ride away from NYC where my sister lives… plus, my high school friends are there too, so, that sounds pretty darn awesome. I have been following and loving your blog for some time. 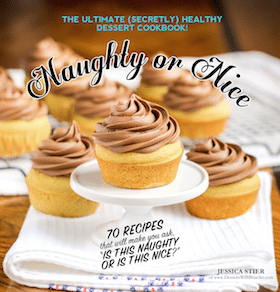 Your recipes may be healthy… but they look evil good! And as always the icing looks drool-worthy. CONGRATS ON GRADUATION COMING UP!! That’s so exciting. Finish the semester strong, girl!! Can you tell me how long this stay fresh and retains it’s consitency? First of all, I LOVE and appreciate your blog and all your recipes so much. I’ve tried many of them and they are great! Just wanted to say that I really enjoyed this recipe in particular. I am a frosting fiend and besides straight up coconut cream ones I haven’t found ones that work. I’m a huge frosting addict too. Sometimes I just scrape the frosting off the cake and eat it straight up. Yummmm. Even though coconut yogurt is a bit different, I’m sure it tasted great! I’d love to try this with another yogurt and protein powder, maybe almond yogurt and egg white protein? Pingback: Healthy Grapefruit Yogurt Cake... Baked in a Grapefruit! Pingback: 10 Healthy Pantry Staples for the Busy, Hungry, Sweet Tooth in You!